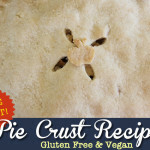 Gluten Free Vegan Pie Crust Recipe - Easy! Light & Flakey! 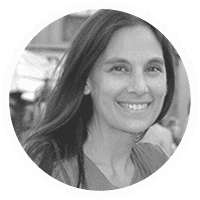 Going Gluten Free was hard enough, so when we found out a couple of years ago that one of my sons was (also) allergic to eggs, I cried… and after a good cry, I sucked it up, strapped on my apron, and slowly began re-working almost all of our favorite recipes to be both Gluten Free AND Vegan. Since one of our family’s favorite meals is Gluten Free Chicken Pot Pie, I started with a new Gluten Free Vegan Pie Crust Recipe that uses my Erika’s Gluten Free Flour Blend… Plus, it actually tastes good! It’s light, flakey & is perfect for sweet or savory dishes. In time, I’ve actually found that I hardly miss baking with eggs… in fact, I don’t even buy them anymore! 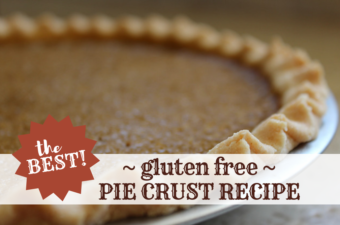 If you’re looking for my original Gluten Free Pie Crust Recipe, it can be found here. It has been one of the most popular recipes I’ve ever posted – so if you aren’t a vegan or allergic to eggs, feel free to use that recipe instead! 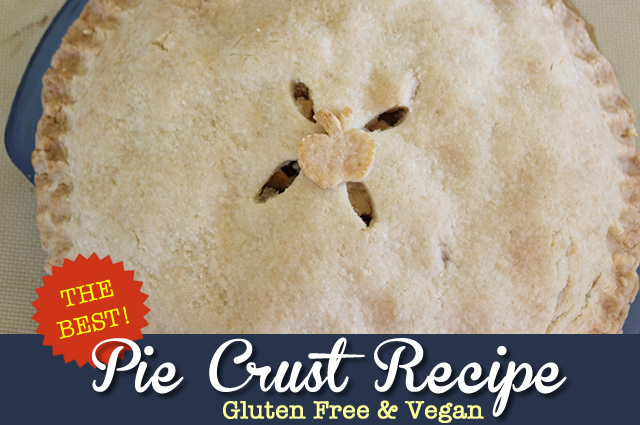 The easiest Gluten Free, Vegan Pie Crust Recipe that’s both light & flakey… and tastes delicious! Can easily be doubled to make a top & bottom crust for homemade pies. Additional Shortening or Non-Stick Spray for Pie Dish. In bowl of stand mixer, whisk together Dry Ingredients. 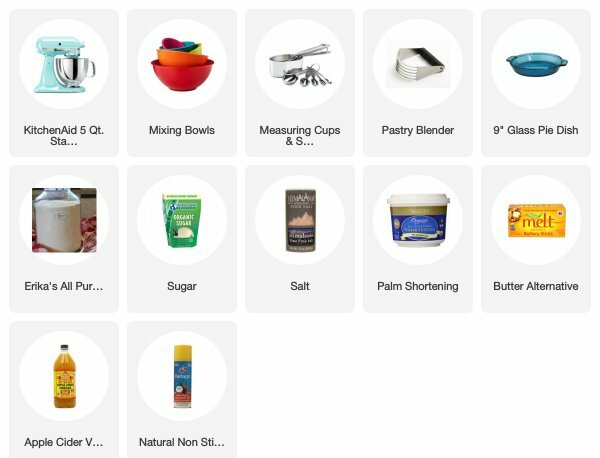 You can also use a pastry cutter to hand blend all ingredients together. Add in the Cold Butter and Palm Shortening. 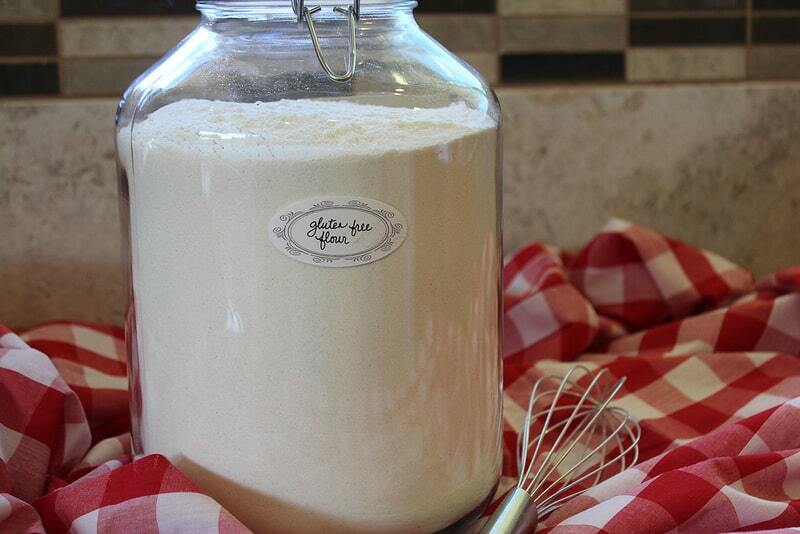 Using the whisk attachment, mix until well combined – mixture will be dry & crumbly. Add in Cold Water and Apple Cider Vinegar. On Medium Speed, blend crust mixture until the dough comes together. If your mixture still seems dry or doesn’t stick together when pressed, then add more water 1 Tablespoon at a time. Mixture should hold together when pressed between your fingers, but not be sticky. Lightly dust a sheet of wax or parchment paper with a little extra flour or tapioca starch. Form the dough into a round disk with your hands. Place a second piece of parchment over the top and roll the dough out until it matches your pan size. Spray your pie dish with non-stick spray or a little extra palm shortening. 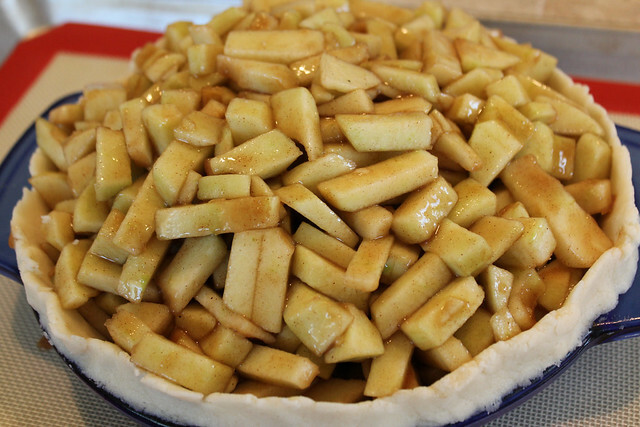 Remove the top layer of wax paper & turn your pie pan upside down on the top of the crust. 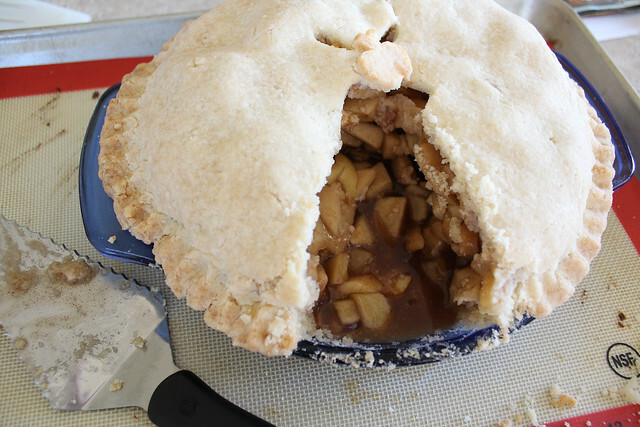 Carefully slide your hand under the wax paper and gently flip over the crust into the pie pan. Remove the parchment paper carefully as you press the dough into the bottom of the pan. Don’t worry if it cracks, just continue to gently press it together with your fingers. Crimp or Scallop the edges. Prick bottom of crust with a fork & place pie crust in the fridge until you are ready to use it. Follow the instructions on your pie recipe for baking temperatures & time. If you need to pre-bake the crust for chilled pies (such as a Chocolate Pudding Pie), Bake the Pie Crust at 375 for approx. 15 minutes or until crust is lightly browned. Use pie weights or beans to prevent shrinkage if need be. 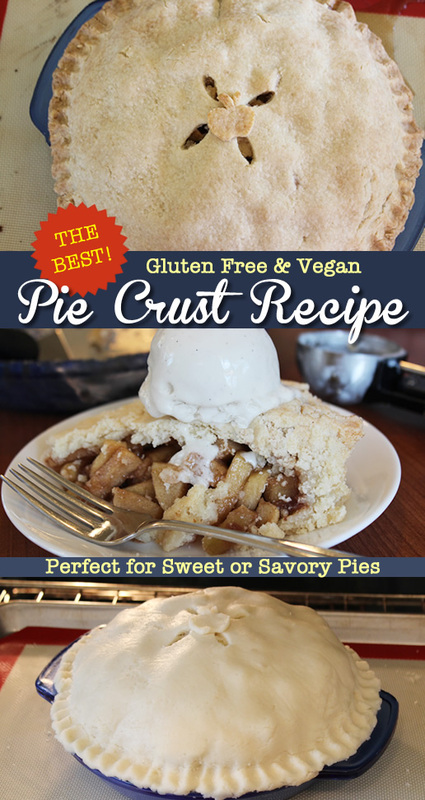 Gluten Free Vegan Pie Crust – Perfect for one of my Sugar Free Apple Pies! 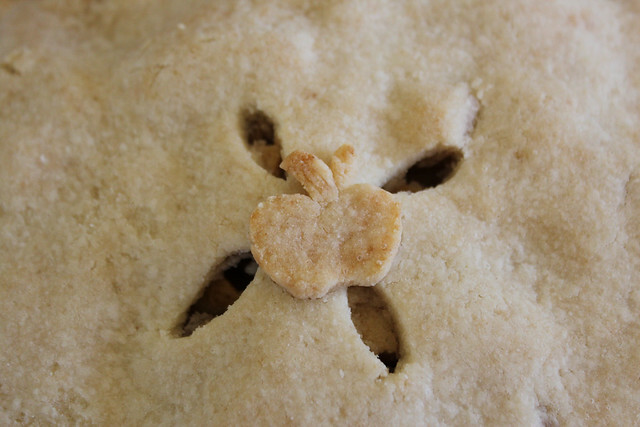 Crust works perfectly to make shapes & decorate your Pies! Light & Flakey Gluten Free & Vegan Pie Crust is possible! You can even use Date Palm Sugar to make it refined sugar free like I did below. « Gluten Free Apple Pie Recipe – Refined Sugar Free! 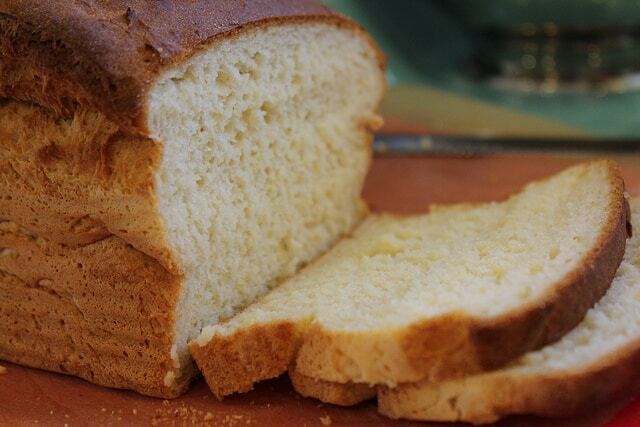 Thank You so much for the bread recipe. Made it today and it turned out so good. We found out a few weeks ago our son has Celiac. I have tried and failed so many times to make bread. Didnt think it was going to be possible. But this is a great recipe. I made one loaf for dinner. My husband told me I was going to have to make more. Again Thank You. I can bake again now. Thank you for your wonderful recipes. I never bake so excuse me if this is a dumb question. Can I sub shortening with olive oil? I understand this would probably change the texture, but can it be done? Hi, sorry you definitely can not substitute a liquid oil in place of a solid oil in a pie crust ever, it just will not work.Pie crust has to be what they call “Pearled” in the baking world, Sorry. I am going to try making this with Coconut oil to see if it will work and I’m fore going the butter all together since I don’t have any Vegan butter right now. 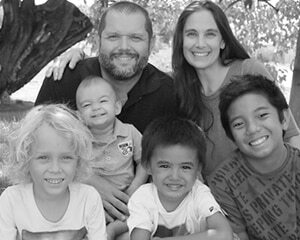 I’m just starting out in the gluten free/ vegan world…my son has been diagnosed with a bunch of food allergies. Thank you so much for sharing your knowledge with us! Can you explain why you add Apple cider vinegar to the pie crust? And would you put it in any baked good generally? Thanks for the advice. This was very good! I made this today using soy free Earth Balance, Bob’s Red Mill 1:1 gluten free flour, and red palm oil. I’m avoiding all milk, egg, soy, nut, wheat, and shellfish while nursing my baby and have missed baked goods. I found it very neutral in flavor and might adjust the salt/sugar a bit next time but it worked marvelously for my pumpkin pie! FYI, Melt isn’t dairy free or vegan. Yes it is. I just used it. Melt is definitely Dairy Free & Vegan, it is not real butter. Here’s a link to their website for all of the ingredients: https://www.meltorganic.com/our-products/rich-creamy-melt BTW This is the best GF Vegan Pie Crust I have ever tried – light & flakey. Thank you! This sounds like a great recipe. Could I directly substitute coconut oil for the Spectrum Palm Oil you mention? 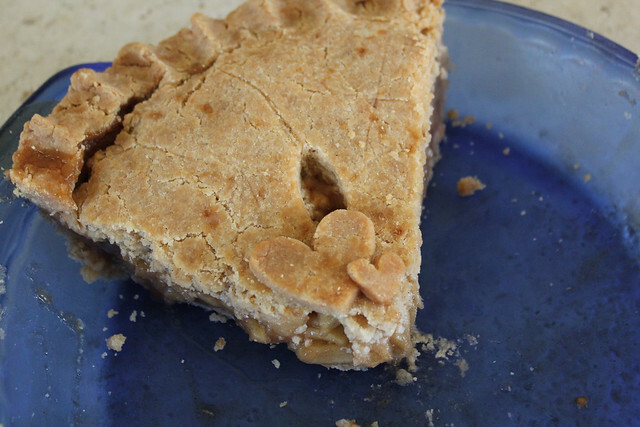 Erika, BLESS you and all of your family for offering such a wonderful pie crust recipe! I love to make pies but my daughter and one grandson have celiac disease. My grandson is also allergic to eggs and dairy. While I’ve learned how to make a lot of things without gluten, eggs, dairy, and several other common but forbidden ingredients, I have never found a pie crust recipe that worked. We finally decided that an actual flaky/chewy pie crust that did not turn to gooey dough was impossible…until I found your recipe! I have used it to make pot pies, pumpkin pie, and banana cream pie, and in every case the crust was perfect! Thank you Melanie for the sweet comment! I’m so happy to hear that the recipe turned out well for you! Donuts are on my list of things to share soon… Including an Apple Fritter & Churro Recipe I’ve been working on for a while. So stay tuned! =) Enjoy & God Bless! What is a substitute for Palm ? Palm products are not vegan. Can I just substitute my own homemade vegan butter? I have made an apple and a blueberry pie using this pie crust. They were both fantastic. My husband, grandson and daughter all loved them. I am the one with the allergies but they had no problem helping me eat the pies. Can domata flour be used? My husband is egg and gluten free, I am soy free. Since we don’t need to be completely vegan would this work with real butter? Just a quick Note. Instead of your mentioned butter replacements, I use real butter but changed into ghee. You get the full taste without any of the dairy. Unfortunately, ghee is dairy. The best vegan butter is Miyokos, or you can make your own! This pie crust is fabulous in taste and flakiness! I made several pumpkin pies using it last year and everyone raved. However I must be doing something incorrectly because my crust falls apart every time I make a pie when I take it from the parchment to line the pie pan. I am using the exact ingredients you show in the recipe and think I am following the instructions correctly, however, since no one else mentions it I believe I must be doing something wrong. Help! This pie crust turned out sooooo good. I used it to make a vegetarian pot pie. I had made the pot pie before using a biscuit topping and it was just mediocre. This pie crust took it from mediocre to amazing! I seriously have been craving it since I ate it. Thank you so much for the recipe! Good gluten free is difficult to come by so I am going to book mark this one.